Cauayan City Connect! 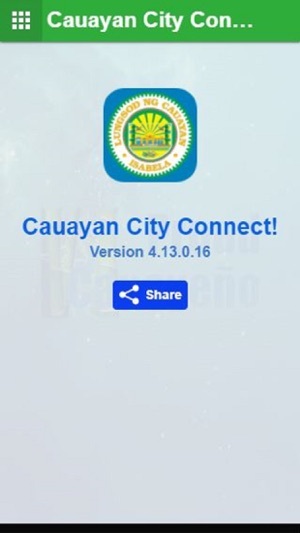 is the fastest, easiest, and most convenient tool to experience and get to know more about Cauayan Citywith just a click away wherever you are and whenever you want. 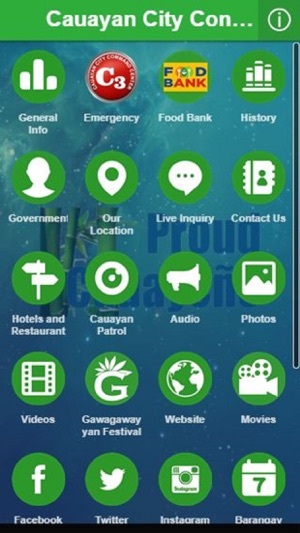 • Navigate your way by knowing Cauayan City’s General Information, History, and Government. • Get an instant and effective tourist guide with the Location, Inquiry, and Contact features. • Update and involve yourself with the activities, events, programs, and projects of the city through our Audio, Photos, and Videos. 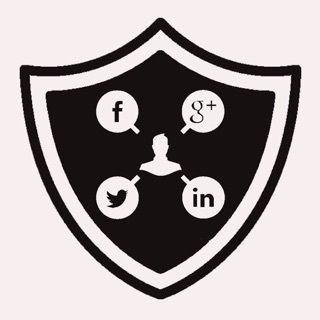 • Stay connected with us in Facebook, Twitter, Cauayan City Website, and Instagram. • Discover the wonders ofCauayan City throughits Tourist Spots and Hotels and Restaurants. • Be alert and keep safethrough our Cauayan Patrol to locate emergency areas and contact hotlines. • Get an easy access to everything that you need through our Downloads. 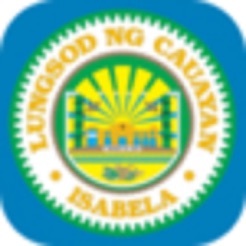 With Cauayan City Connect!, the City Government of Cauayan, Isabela, through the leadership of the City Mayor, Hon. Bernard Faustino M. Dy aims not just to provide the basic services to the people the fastest way possible but to promote the potential of Cauayan City as the ideal place where to live, invest, and enjoy, making it truly the Ideal City of the North!